Supreme Court of Canada Chief Justice Beverley McLachlin says "the most pressing challenge facing the administration of justice" in this country is ensuring that Canadians are able to access the system. 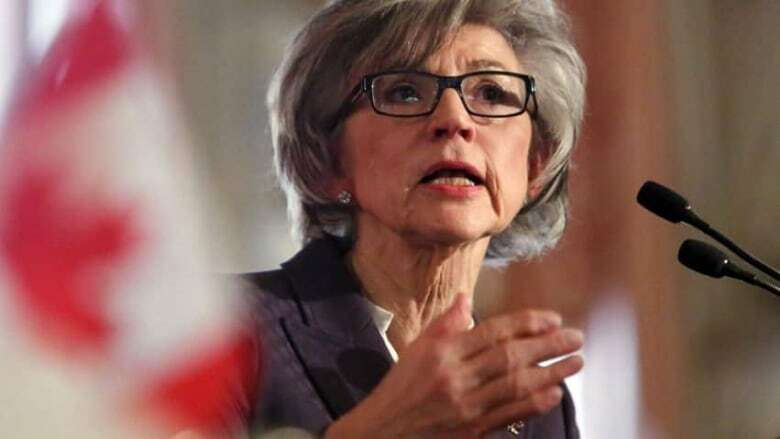 Supreme Court of Canada Chief Justice Beverley McLachlin says the most pressing challenge facing the administration of justice in this country is ensuring that Canadians are able to access the system. McLachlin made the comments at the Canadian Bar Association (CBA) annual meeting in Saskatoon this weekend. Delegates at the conference were discussing the merits of several proposed legal reforms, including those stemming from the results of a new report by the CBA, titled Reaching Equal Justice. The 59-page report, which was released Sunday at the conference, says there is profoundly unequal access to justice in Canada. Peoples' lives can be ruined if they can't get access to justice, McLachlin said Saturday at the conference. "We know that there are a lot of needs. People just swallow their pain and their loss and live with it, I guess, in some unsatisfactory way feeling they can't get justice," said McLachlin. Among other things, the report calls for more federal funding for civil legal aid. Another goal is to have all law schools in Canada have student legal clinics to help low-income people by 2020. All 31 targets in the report are expected to be completed by 2030. "Inaccessible justice costs us all, but visits its harshest consequences on the poorest people in our communities," the report says. Its author, Melina Buckley, says one of the biggest concerns is the growing number of people who represent themselves in civil cases. Buckley says many people earn just enough money so they don't qualify for legal aid, but they also don't make enough to pay for a lawyer. Those people often find themselves on their own in court, she says. "They describe that as just being a terrible experience," Buckley said in an interview. "They find the whole process leading up to it is hugely stressful, has all kind of side effects in terms of their abilities to continue parenting their kids because they're stressed. Sometimes they lose their jobs or have to go part-time, all kinds of health and other situations. They tend to get alienated from friends and families because they become so obsessed by it," she said. "And then quite often they don't have the kind of outcomes that we would consider just and fair." Buckley said that also puts more of a burden on the system. The report identified four priorities in improving access to justice nationally: access to legal services, the simplification of court processes, family law and prevention, triage and referral. In each of these areas a working group of CBA legal professionals investigated specific ways of improving legal access nationally. "We are contemplating changes to the system to make it more affordable. For example, rule changes. All of that involves the government ... so the government is an important player," McLachlin said. Robert Brun, President of The Canadian Bar Association told CBC News on Friday that he is cautiously optimistic that their recommendations and the report will not fall on deaf ears when it comes to implementing changes to the current system at the federal level. "If people don't have the economic resources to retain lawyers to protect their interests and to get their cases before judges to decide them on the facts and law, then they don't have access to justice," Brun said. Brun says improving citizens' legal agency will help combat problems like over-crowded correctional facilities, in places such as Saskatchewan and in the North. The report will be released in full this fall.